So I’m diving head first into a Axial Raw kit and I am having a hard time deciding what to do for my electronics. I read mixed things everywhere I look about brushed vs brushless and what systems are best. Looking to keep the combo under $200. Any direction would be great. Is there a thread on this that i overlooked? Loads of info everywhere... which can make things even harder! Everyone has a different opinion! Maybe depends on what your intended use is, for my more scale builds I don't need wheelspeed, both are brushed with hobbywing escs, one 1060 (really cheap) and one 1080 (really cheap for what you get, lots more programming options). Servos are also important, I find the PowerHD units good value, have the 20kg and 23kg versions. You could well also need a bec, I think the Castle Bec is what most people use. If you can afford a high level servo it will come with its own receiver bypass. Definitely a start and something to consider. And yes of course a servo. I’ll be piecing this together through out the winter. My intentions right now are just recreational use to have some fun. Some lights but not much more than head/tail lights and light bar. What are some pros and cons brushed vs brushless for crawling? 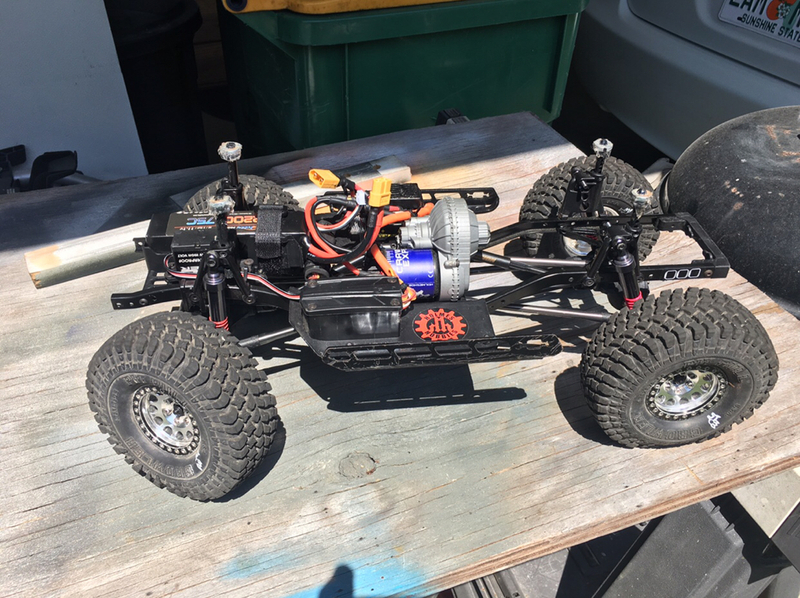 I get that brushless is more powerful and efficient but I see a lot more talk about brushed systems in crawling than with short course trucks. I've only used brushless in racers so most on here will know the comparisons better than me, however, I think the reason brushed is still used quite a lot in the scale world is because it's really good at going slow- really good smooth start-up. Brushless is a draw both because of the ability to do slow and fast well (in a crawler specific esc, motor combo) and because it doesn't require any maintainance. Might be an idea to find a few build threads similar to what you want to do on here, most people say which electronics they're using and would be happy to answer specific questions about them. So many options with the Raw kit, great place to start! What body do you have in mind? Well, I’ve always wanted a wrangler and come to accept that is not going to happen now so a 1/10 version will have to suffice. Still thinking about the scale options but that’s something I can piece together as I go. Just saw a combo on Amain for $180 that has motor/esc/servo and 3s LIPO battery. But I question if it’s worth going that route or do I really need “better” electronics. Killer budget combo for $100.